I was stopped in my tracks of setting-up my trademark reflection shot by this. 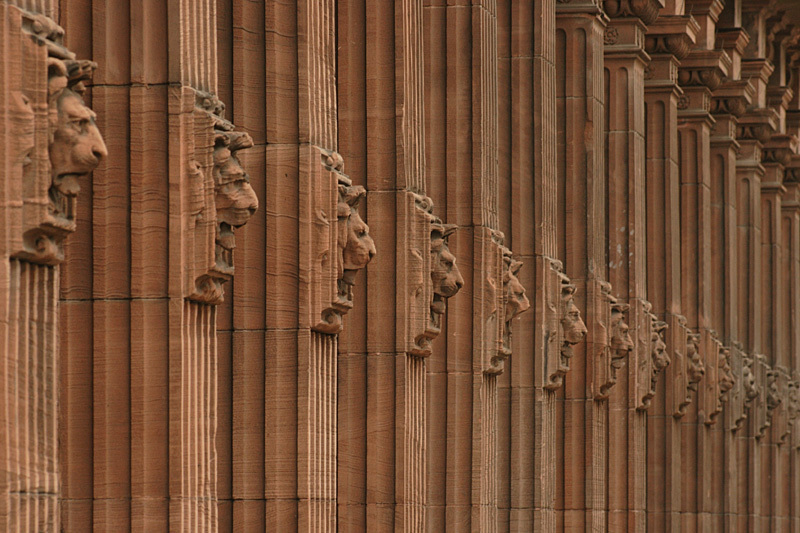 The varying degrees by which each sculpture has weathered makes them all slightly different. I'm not sure this shot shows that well, maybe another time.